Are you a gardner looking for something with endless production, and, easy to grow? Cathy Isom tells you just how easy it is to grow garlic. That’s coming up on This Land of Ours. Garlic is one of those foods that, as gardeners, we don’t necessarily think about a lot, but, as cooks, we use constantly. Hand planting garlic in the vegetable garden. Autumn gardening. 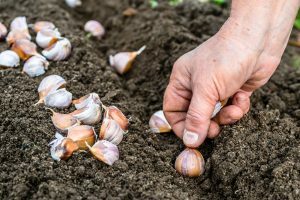 The amazing thing is that garlic is relatively easy to grow, and in fact, it can be done as a perennial, providing harvests every year without having to cultivate it again and again. Garlic is also a great companion plant with many crops because it repels pests. 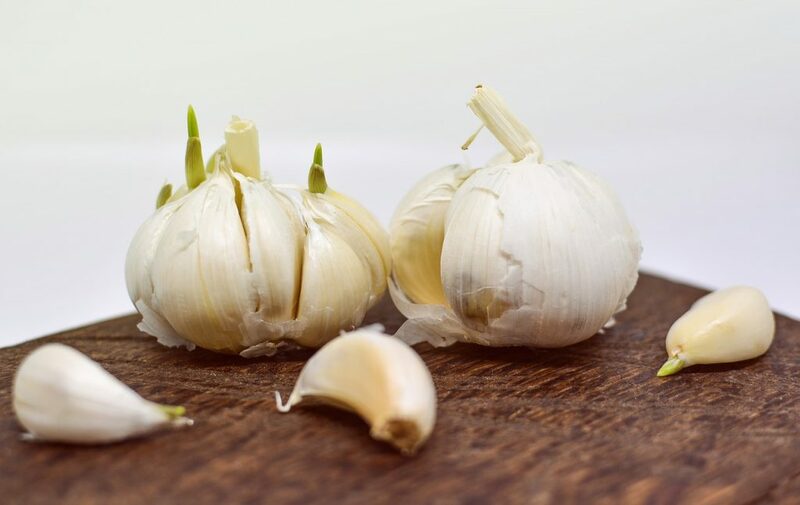 Garlic is planted by simply taking one clove and shoving it about an inch deep into the soil, root-side down. They need about four to six inches between each other. Most people like to plant them in the autumn, typically in early October, leaving enough time for them to start growing before the weather gets cold. The garlic bulbs are usually ready to harvest in late July or early August, about ten months after being planted. The big signal is that the leaves begin to brown. The best time to harvest them is when only about a third to half of the leaf has died.